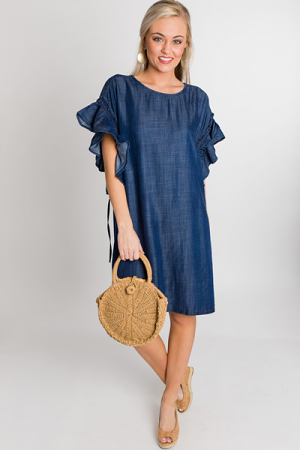 There truly isn't anyone who doesn't need a go-to denim dress in their closet! 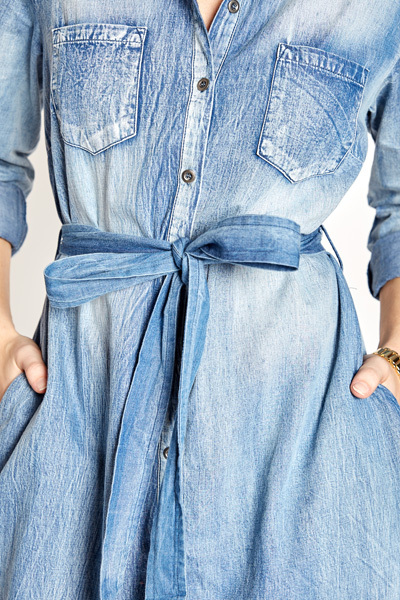 This one has a cool acid wash and an adjustable tie waist for a customized, flattering fit. (Belt is detachable.) It can be worn in the spring with sandals, or the fall and winter layered and with boots. 100% cotton. Fit is true to size. Model is wearing size small. Shoulder to hem measures approximately: S- 34.5" M- 35" L- 35.5"